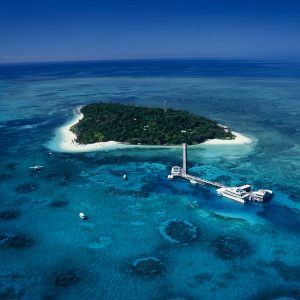 Experience North Queensland from a different perspective. Have a great day on this eco sensitive 4WD rainforest safari. We will take you away from the mass marketed areas to one of the north’s last wilderness frontiers. There are no “Touristy Crowds”, no other vehicles (we have exclusive access) and no sealed roads. Just pristine World Heritage Rainforest in Cairns. 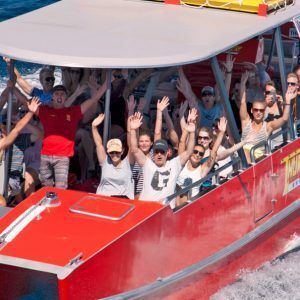 To view more awesome tours in and around cairns, click HERE! We begin our day by ascending the Hinterland Mountain region. Enjoy morning tea in the tranquility of the rainforest. We also have time for a relaxing nature walk to spot wildlife. Then off-road as we enter the “Land of the Giants” rainforest trees. One with a height of 53 Meters (160 feet) and a circumference of 43 Meters (130 feet). This massive natural structure is spectacular. Rainforest species, local “bush -tucker” is revealed by your experienced Naturalist Guide. Our “Eco Adventure” continues in the afternoon as we ascend higher mountain peaks. On “restricted Access” narrow 4WD trails. Into areas used for scientific research and wildlife studies. This area also a regular habitat for the native and rare Cassowaries. Pass from jungle to open woodlands. Descending down the north side of the mountain into the Australian Bush. A great chance of spotting some of our unique marsupial. Almost in the middle of no-where is the local fruit vendor. Taste local fruit before heading into the mighty Clohesy River area. Here we see other impressive giant rainforest trees. Unique birds nests and our most dangerous plant the “stinging trees”. The 4WD rainforest track continues over higher mountain peaks into further restricted access areas (under permanent lock and key). Then we traverse slowly down a steep track towards the Lake Morris Ranger Station. Offering amazing views over “The Lake” and the mountains we have just conquered. Our final decent from here to the edge of cairns boasts views over the city. Arrive in Cairns back in civilization at approximately 5.30 pm.